Though I'm still not sure just why, "An Eye Over Autumn" remains as one of the few pieces from the Columbia years, the late '70s, which I can listen to and enjoy. I suppose the entire recording of "THE BLUE MAN" LP was memorable for me because it was the first chance I was given to 'produce' myself. Bob James had moved on to form Tappan Zee Records, and I had his support, along with the good words of Tom Scott and Ralph MacDonald. I was anxious to do a recording filled with only my own compositions, or those I had chosen; and this LP was to contain five tunes of mine, and one of Randy Brecker's. In those years, I enjoyed 'picking-up the scraps' from Randy; tunes of his which, for one reason or another, never made it onto Brecker Bros. albums. Again, I was lucky enough to have been able to record in Studio 'A' at Mediasound, with Doug Epstein as my engineer. 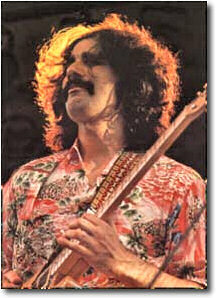 Doug had assisted on "TIGHTROPE" and was very familiar with my style and approach to recording. So during May of '78 when we walked in to do this recording, I wanted to make certain that all the solos were played live if possible, so it required a great deal of planning. When this track was recorded, everything was done live except for the horn section parts. Michael Brecker was there with us, as was Rick Marotta, of all people, to add the 'sabor' of the timbales. As these things go, it was a great experience for me and filled with many memories. This particular piece was composed, other than the guitar melody at [B2], at the old Fender Rhodes 'suitcase' model which I used to own. Here it is presented in mini-score form, as a keyboard part which encompasses the melodies played by the guitar and tenor sax, as well as the bass part. Where they appear, a staff has been added for the horn section(Randy & Michael Brecker, and David Sanborn). Like everything we ever did together, Don Grolnick and Will Lee made the keyboard and bass parts come to life, and added little personal touches which I could not have thought of. If you follow along with the music, you can hear the beautiful things Don added, especially during [B2], where he incorporated parts of the melody into his accompaniment. The composition is 'glued' together by repeated 4-bar sections, which begin at [A], [A2] and [A3]. Each has the same sequence of triads in the right-hand which appear over three different sets descending bass lines, each moving down in whole-steps. In the very first bar, though I have spelled the triad, in the right-hand, as if it were an Ab major triad, I labeled the chord as G#/E, which could also be called Emaj7#5(which gives one the E Lydian augmented mode). However, as is sometimes done in Classical music, I chose to spell the notes using C, Ab, and Eb rather than adding to the potential confusion by using a B#. It is not done to make things appear to be more complex than they are. As a matter of fact, 'slash chords'(triads over bass notes) are just a familiar 'shorthand' to help the player grab the chord faster during the initial run-throughs. These 4-bar interludes transit in and out of 9-bar sections in A-minor, and in E-minor, where the melody is picked-up by Michael Brecker's tenor sax. When we finally arrive at [B] we have hit a section which was actually influenced by Joe Zawinul's "Boogie Woogie Waltz," which appears on the Weather Report album, "SWEETNIGHTER." Thank goodness I didn't go so far as to write the section in 3/4!!! As I explained earlier, the horn section date was done on a separate day from the rhythm tracks. Though the four of us had already worked together for years, it was still an intimidating, yet very comedic task to sit in front of Randy, Michael, and Dave, and to direct/conduct them through these small horn parts which, in those years, were always double-tracked: for 'beefiness' and 'stereo-ocity.' However, to gently coax them to just get through it all is really difficult and very funny. I think we spent most of the time laughing at each other, making fun of the parts, making fun of this musical genre too. I still laugh every time I visualize the three of them sitting there. The solo section, [C], though in another key, is connected compositionally to [B] by the groove of Will Lee's bass part. The chord progression which Michael Brecker and I trade 8's over is actually the same harmonic movement that I used in the tune "Tightrope." I guess I plagiarized myself!!! How dreadful is that? You have an A/B chord which could also be thought of as F#m7/B and might lead one to use either the F# Dorian(F#, G#, A, B, C#, D#, E) or B Mixolydian modes. This moves to an Am/B chord which could be thought of as B Phrygian(B, C, D, E, F#, G, A) or, as I prefer to view it, A Dorian(A, B, C, D, E, F#, G). But they clearly have the same notes and thus it keeps my Dorian orientation intact. One small, very small, arranging detail is that as [C] arrives you'll hear Don Grolnick's tasteful usage of the ARP String Ensemble, a very limited and ancient synth, but effective. I suppose this simple orchestration device is reminiscent of things Herbie Hancock had done on his recordings some years earlier. When [C] concludes, we arrive at a reprise of [A2] before moving on to [D] which was intended to function as a combination Fade and drum solo section for the brilliant Steve Gadd. This is truly one of my favorite sections on any of my recordings, and I feel lucky that it happened on 'my record.' It's such a pleasure to watch and listen to a great artist behind the drums. The horn parts had already been written, and Steve had them sketched into his drum part. So, with a drummer like Steve, and there are others(Peter Erskine and Dave Weckl immediately come to mind) who can read, solo, and interpret written music on the fly, it's so exciting to watch all this happening at once. I remember that once the take was done, and we were all gathered in the control room to listen back, Rick Marotta, whom Michael Brecker affectionately calls "the Elvin Jones of Rock,"(because of his loose, and laid-back time feel) was sitting with his head in his hands; and once the last notes had sounded, and the room was quiet, he looked at his dear friend Steve Gadd and said, "I HATE YOU!!!" Which, of course, means the exact opposite!!! It was a great moment and really unforgettable for me. Though I'm not exactly sure why it is, but "THE BLUE MAN" is the album from that time, about which I'm asked the most questions. As I stated earlier, it was the first chance I had to 'produce' myself and I learned rather quickly that I had made some sonic errors in mixing the record. Fundamentally, it's a recording where bass, bottom, depth, and warmth seem to be missing. I don't know why, at that time, I was so 'afraid' of the bass drum and, in general, the lower frequencies. So, to my ears, the recording tends to have a rather 'shrill' or 'abrasive' quality which is not the fault of Doug Epstein. It's clearly my fault!!! When some of the tracks from these LPs were chosen for the CD release, "THE COLLECTION," I was fortunate to have been allowed to be present at the mastering session, and we did our best to add some depth and warmth to the mixes. Though careful notes were taken by the mastering engineer, I don't know that these settings were used when Sony Music of Japan remastered the three LPs for individual CD release. All this is to say, my apologies for the sound because I don't know that it's competitive with the best recordings of the past 15 years. I recall, and not with great fondness, a tour many of us did of Japan as "THE NEW YORK ALL-STARS" which featured: The Brecker Bros.; David Sanborn; Mike Mainieri; Richard Tee; Anthony Jackson; Steve Gadd and myself; along with keyboardist, Jun Fukumachi. I had hoped that we would be able to perform "An Eye Over Autumn" during those concerts. But, after a rehearsal or two, and I don't know why, it sounded so awful to me that I just 'threw in the towel' and gave-up. Almost every time Anthony and I have been together since, he reminds of this and, just how very disappointed he was in not having the chance to perform the piece. He knows that I used to blame this totally on the 'horn section' for never coming in at the correct times. Those three 'space cadets!' I guess I should have had much more patience? I became frustrated far too quickly!!! The title for this piece, comes from a painting by Jean-Michel Folon which was simply titled, "Autumn." However in the painting, there was a huge 'eye' peering over a mountain, and it seemed to be looking 'over Autumn.' Hence the title, "An Eye Over Autumn." As always, KHAN'S KORNER welcomes you and appreciates your visits. It's great that so many of you are enjoying getting to see and download these lead sheets from the past. Be good, and be kind to one another! Addendum: Recently I received an e-mail from the Netherlands asking why I didn't record more things like Side 2 of the LP copy he had of "THE BLUE MAN." He went on to write that he really enjoyed the 'flute' playing on that portion of the LP. He then went on to say that he also had a European pressing of "THE BLUE MAN," but Side 2 was completely different, more consistent with Side 1. Well, as I was reading this, I thought that I might surely be losing my mind, but suddenly, I remembered a most incredible story, and I am now compelled to share it with all of you, just how this came to be. The story illustrates just how easily things can go so very wrong in the music business! When "THE BLUE MAN" was released in 1978, I had only the greatest hopes for this recording because, at that time, it represented 100% of the music I chose to play, and not what an A&R executive or another producer thought I should be playing so as to appeal to the maximum number of people; in other words, to be "more commercial." It was also my great hope that this recording would enable me to finally begin to tour as a leader. But, as I knew this was not going to happen right away, I continued to work daily doing recordings for other artists, in all genres, as well as films and commercials(jingles). Anyway, one afternoon, shortly after the release of the LP, I walked into the famous A&R Studios 2(on W. 48th St.) and, recording engineer, Ed Rak greeted me by saying something like this: "Hey Steve, wow man, GREAT album......and, those tunes on Side 2, the ones with the flute are an incredible contrast to the electric stuff." Well, I had NO idea what he could have been talking about, and so I said...."Geez, thanks Eddie, but there is NO flute anywhere on my record!!!" Later, I would ask him, "WHERE did you buy that LP?" He told me that he bought it at a particular store in the midtown area of Manhattan(New York City), and so I went there and I bought one too. Here, my memory is a little fuzzy, and I might have actually borrowed Ed's copy a day later. When I returned to my apartment shortly afterwards, I immediately went to my turntable and put it on. Side 1 was "THE BLUE MAN" just as I knew it to be; but somehow, Side 2 was NOT my record.......it really was somebody else's record! It was actually Side 2 of somebody else's record. How could that be?!?!?!?! Well, though I didn't know it at that moment, some IDIOT(a technician) at one of Columbia Records' pressing plants had made a mistake, a BIG mistake!!! I called Columbia, and spoke with my "product manager," and told him this story. Needless to say, he couldn't believe it either! So, let's try to solve this mystery, how could such a thing have happened? And, more than this, whose LP was on Side 2 of mine? Well, if you look at any LP carefully, on the blank black space near the actual circular label, you will see some engraved numbers. Those numbers are called the matrix numbers, and those numbers should ALWAYS match the catalog numbers of the recording. 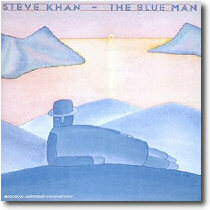 So, for Side 1 of "THE BLUE MAN" you would see: AL-35539 which is correct. But, on this particular Side 2, you would unfortunately have seen a different number. On this Side 2, you would have seen this number: BL-35339. If you look quickly, you might not even notice that there's a critical difference. Can you see it now? BL-35339. You see, believe it or not, the two "sides" of any LP are stored, filed away, separately. So, obviously a technician reached into the WRONG file/bin/slot; or an incorrect Side 2 had been placed in my bin in error. It then makes sense that someone took out the wrong Side 2 for my LP just prior to pressing them. And so, many copies were pressed incorrectly this way!! After my phone call to the product manager, all those copies had to be removed from the stores to which they had been sent. At that time, Columbia Records had 3 pressing plants(Pitman, New Jersey; Terre Haute, Indiana; and Santa Maria, California) and this error, fortunately, was only made in one of them. But, obviously those LPs ended-up smack-dab in New York City, my home town!!! Amazing, right? What luck! What rotten luck!! Tim Weisberg plays the flute you hear!!! On any recording, under my own name, I have NEVER had flute!!! So, how is that for a remarkable story? Needless to say, for me, it was VERY upsetting, and, I have learned that when 'accidents' of fate like this happen, it's always a very bad sign. And, in truth, my record never really recovered enough to get its full momentum going. When a recording is released all the wheels must be in synch and in motion, with everyone pulling in the same direction. If anything happens to derail this motion, in a sense, everything can be lost. So, there was the very complex answer to a simple question posed by a guy from the Netherlands!!! To me, it remains remarkable that one of these strange LP copies ended-up getting to Europe. Who knows, in truth, how many others were floating around and confusing people? And that is the true story!! !